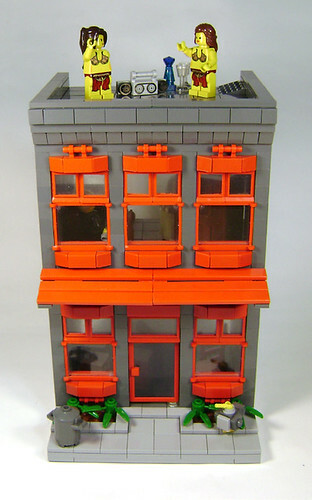 Brick Town Talk: Small Office Building - LEGO Town, Architecture, Building Tips, Inspiration Ideas, and more! This is a great little creation by DARKspawn over at Flickr. The red and gray clash great together and the whole set up is simple, yet elegant. And for those government people out there, you're represented as well with a brand new, shiny city hall with its own clock, pigeons, and satellite dish! Those brick-built pigeons are *awesome* ! Well done! Thanks DARKspawn! I'm glad that you like it. Once again, great work! Market Street available again in Europe!